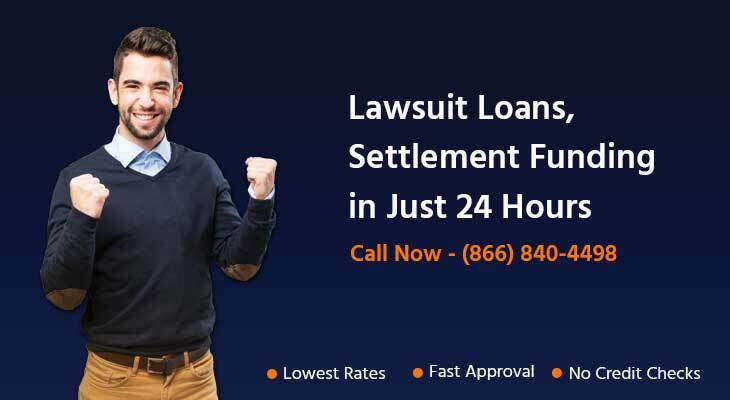 USA Lawsuit Loans stands-out among all legal financing companies. By offering easy lawsuit loans, low-cost lawsuit funding, and excellent customer support. We meet your litigation funding needs quickly and effectively, you may receive the lawsuit cash advance within 24 hours. We sympathize with the challenges that arise while waiting for your case to reach a settlement as the bills continue to come in. A cash advance from our company will allow you to get the money and breathing room you need while you wait for a fair settlement. To receive your lawsuit cash advance today simply call us at 866.840.4498. Unlike typical loans that require some form of collateral or personal guarantee the loan will be repaid, lawsuit loans are non-recourse which are only repaid if you successfully win or collect from your case. Rather than requiring traditional collateral, a lawsuit cash advance from our firm applies the money you expect to receive from a lawsuit settlement to guarantee the funding. This process enables you to receive the money necessary for your expenses immediately, rather than waiting months or even years for your settlement to be reached. Your loan is easily returned, as you only begin to repay it once your settlement money is dispersed. We are recognized as a frontrunner in the lawsuit funding industry and are preferred by some of the most renowned law firms in the country. We are a direct lender, which enables you to get the lawsuit loan you need quickly. With our low interest rates and quick approvals, you will be glad that you selected our company as your funding choice. Why should you take a Lawsuit Cash Advance from us ? We never check credit and work history. Once we receive your application you can obtain the cash you need in as little as 24 hours. Non-Recourse, Pay only if you win the case otherwise you do not have to repay the cash advance. The application process is free and easy, We collect basic case information and do the rest. We Offer the lowest interest rates in the lawsuit funding industry. You may receive application status 24 hours a day seven days a week. We have over 10 years experience and preferred by the top law firms in the country.